I really had to shift into full trip planning mode this week. I leave tomorrow! Yesterday, after finishing up a few final things at work and saying goodbye to my dear co-workers at Cascadia, I went over to my favorite bike/outdoor shop—Second Ascent. Not only do they sell great gear, but all their employees are true outdoorsmen/women who really want you to have successful outdoor adventures. Over the last few months, two of the guys in their bike department have been helping me outfit my bike and in the process have taught me a lot about touring and bike maintenance. One of them solo toured in Alaska—specifically Denali National Park—so I really trusted and valued all the pieces of wisdom he passed on to me. I feel like I’ve got all the essentials and am ready to take on inclement weather, flat tires, and steep hills. Thanks Second Ascent! 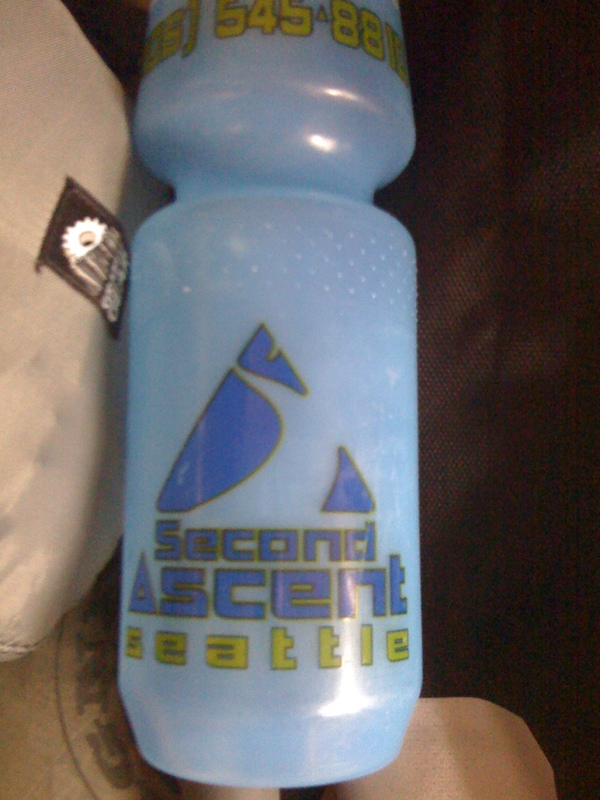 The Second Ascent water bottle is coming with me for good luck! Today, I went to another bike shop—Veloce Velo—to get fitted on my bike. If all goes according to plan, I’ll be riding close to 3,000 miles in Europe and that kind of mileage can begin to cause neck, back, and knee problems. 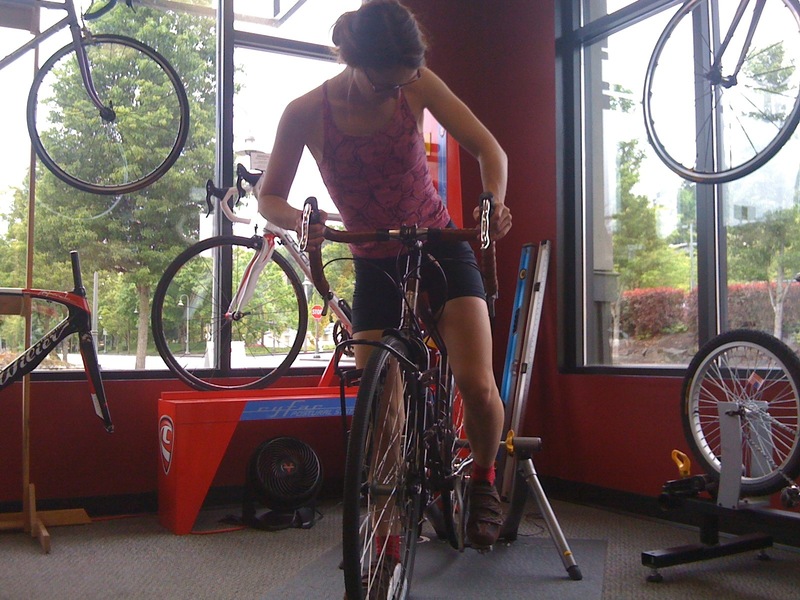 Getting fitted to your bike can help prevent injuries and makes long days on the bike more comfortable. The fitting results in a set of measurements that I can follow when I reassemble my bike. I also left my bike at Velo to be professionally boxed up before I UPS it to Copenhagen. Showing off my biking position. Back to packing and trip planning!